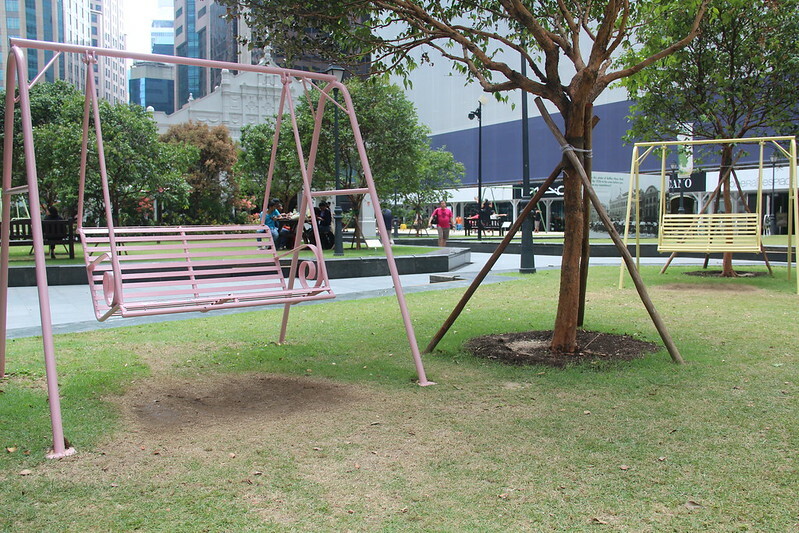 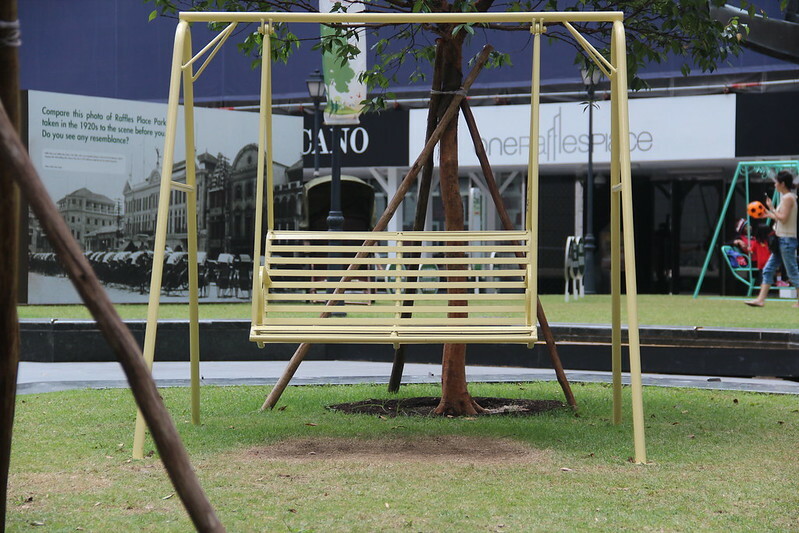 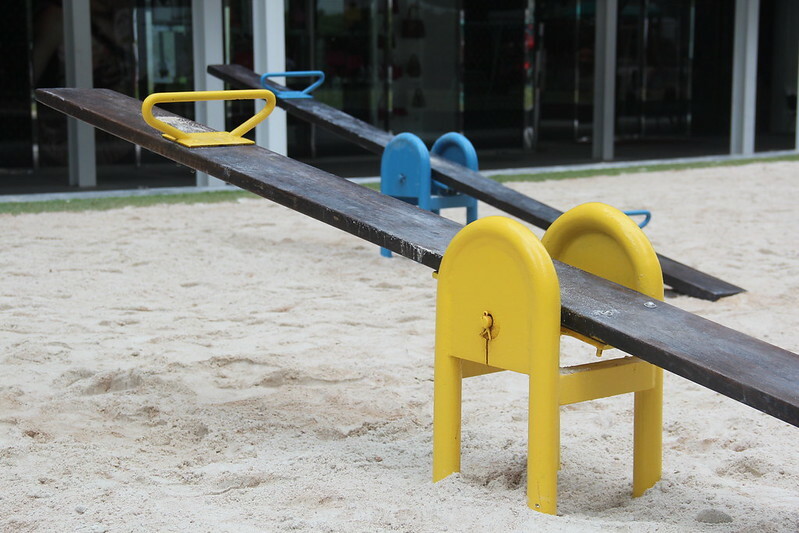 I thought I was mistaken when I saw on instagram photos of the playground installation in the heart of Singapore's bustling business district, Raffles Place. 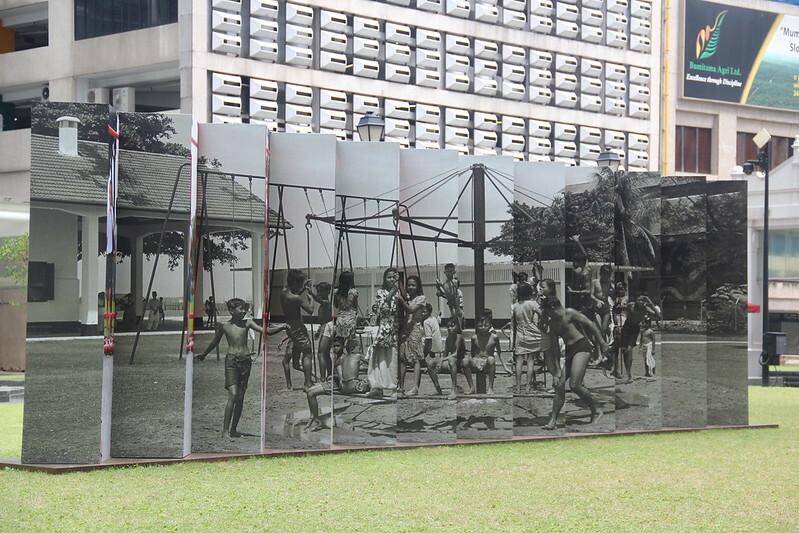 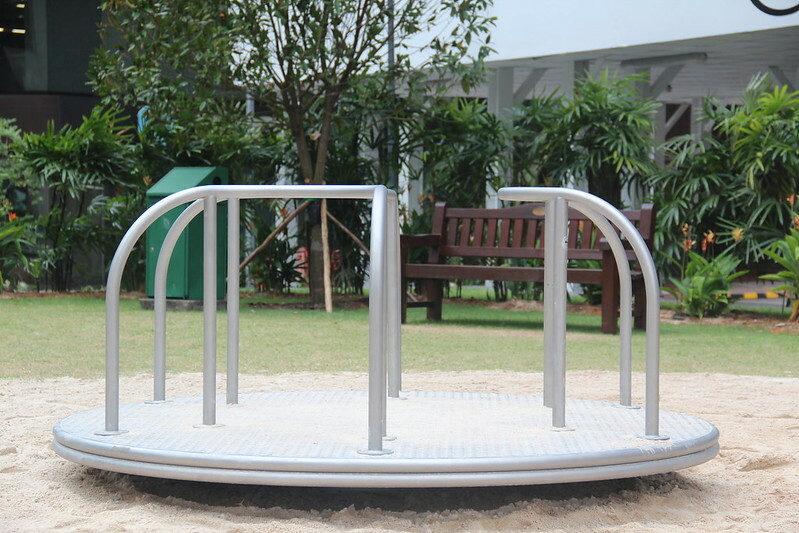 Commemorating 50 years of Greening Singapore, the interesting theme of " Play Sets Of Yesteryears " features 1970s and ’80s nostalgic playsets of old-school swings, see-saws and a merry-go-round brought over from various playgrounds around town such as Fort Canning Park and Mount Emily Park. 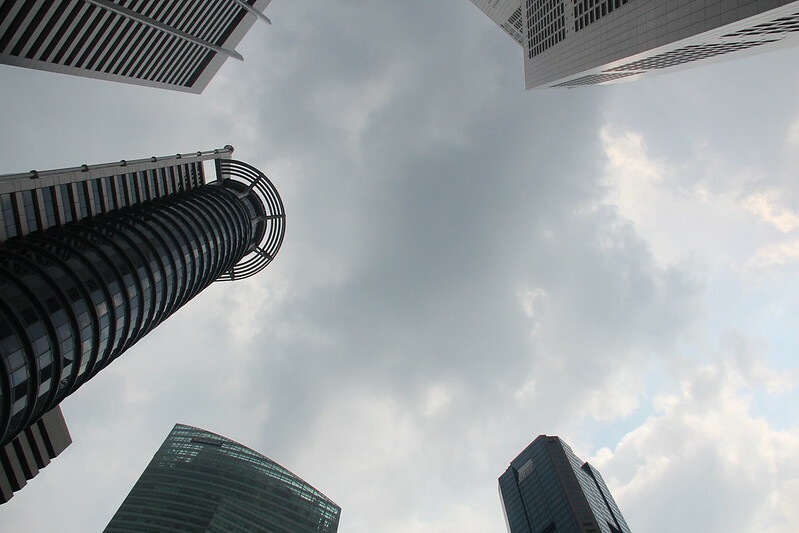 I do not and have not work in Raffles Place but there is always a sense of claustrophobia, the skyscrapers, impatient hurried footsteps and people busy with handphones. 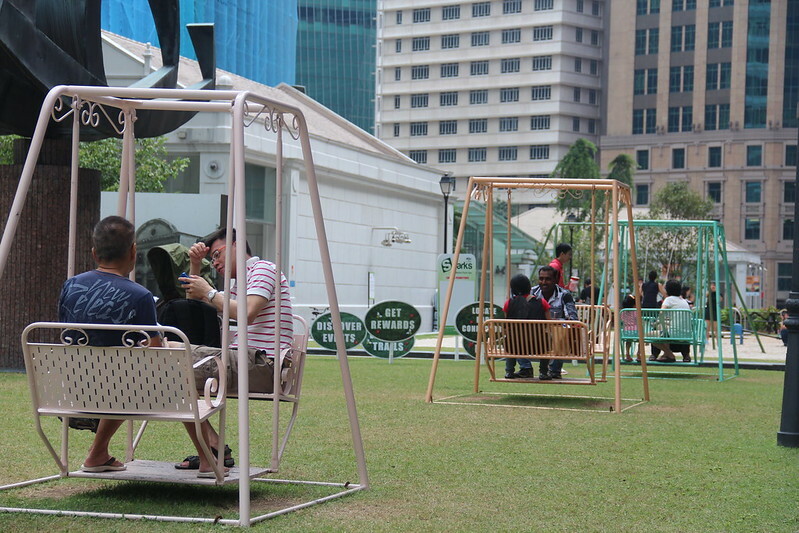 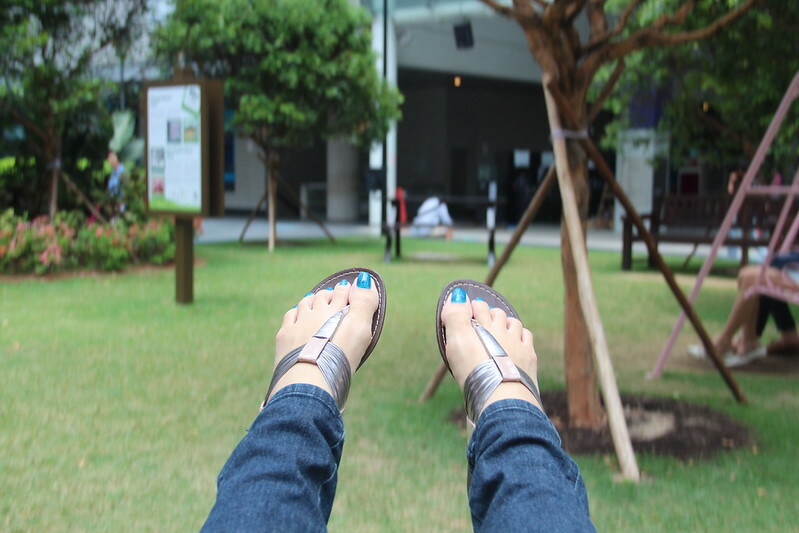 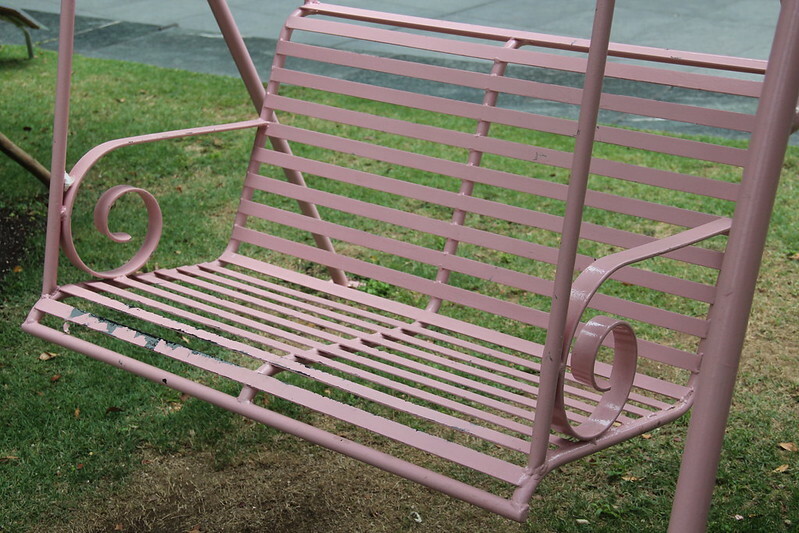 I was really happy to see that the installations on the lush green lawn injecting some fun to the surrounding. 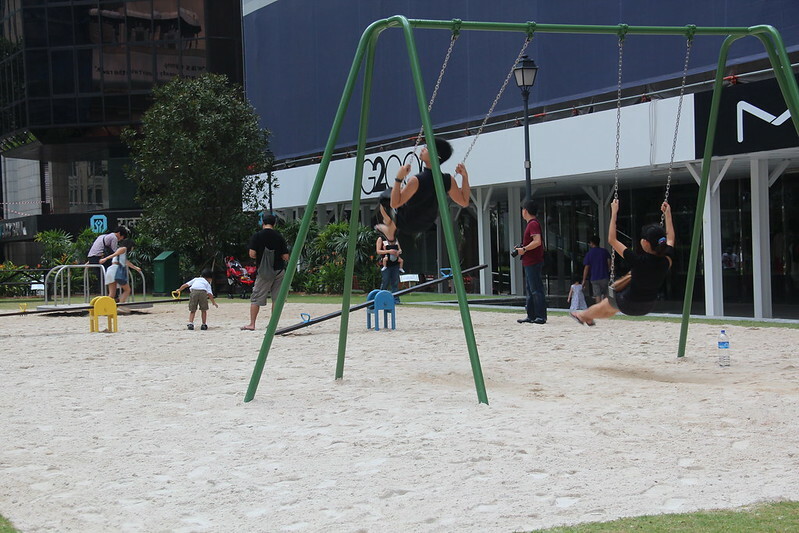 People relaxing on the swings during lunch hours and the vibes was different even on one Sunday I visited to see that it was still packed with families and couples. 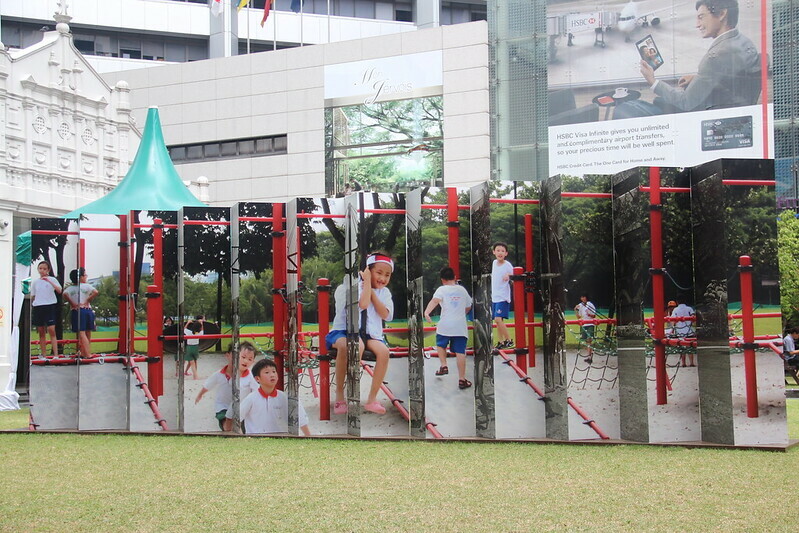 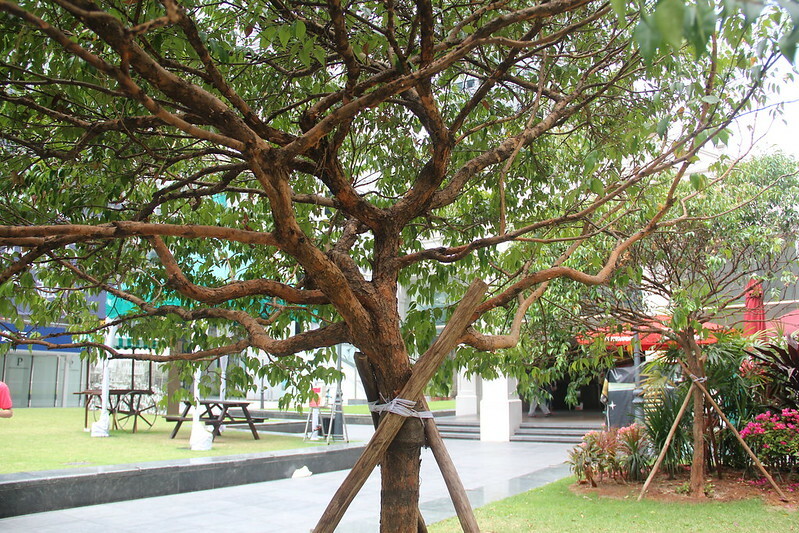 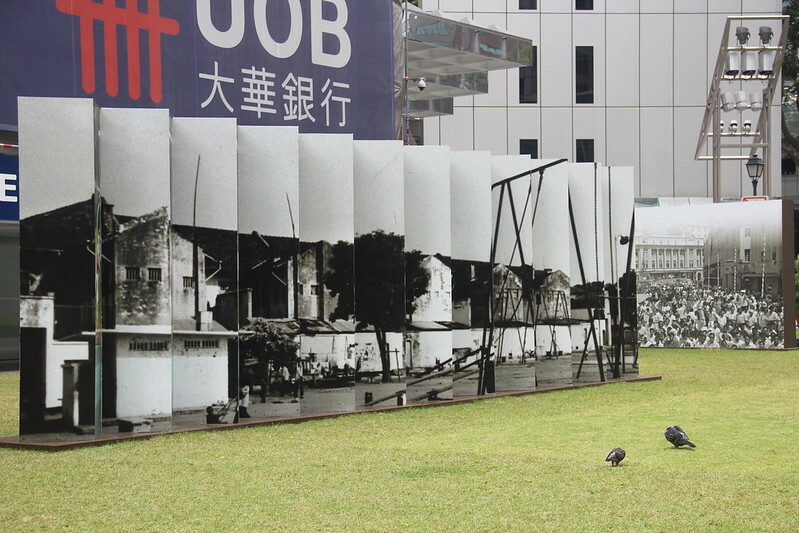 The installation will be in the central business district until May 19, before moving to East Coast Park (June and July), Bishan-Ang Mo Kio Park (August-October) and the Botanic Gardens (November-December).